Cooper Clinic’s board-certified dermatologists share their sunscreen tips in this sunscreen infographic. When you apply sunscreen, are you covered? It’s counter-intuitive that applying sunscreen requires any particular instructions. However, unlike moisturizers where personal preference is all that matters, sunscreen must be correctly applied in order to be effective. Here are some important sunscreen tips. SPF stands for Sun Protection Factor, and is a measure of how much UV radiation (solar energy) from the sun is required to burn skin with that level of SPF protection worn. It’s important to know that the SPF number does not simply relate to time in minutes but is based upon the amount of solar exposure, and this varies depending upon time of day, geographic location, and skin color. 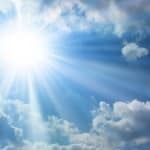 It’s possible that one hour of sun exposure at 9 o’clock in the morning may have the same amount of solar energy as 15 minutes of sun exposure at 1 o’clock in the afternoon. And by time of day, people in Texas are exposed to higher levels of solar energy than people in Minnesota. Individuals with lighter skin tones absorb more solar energy than individuals with darker skin tones. For more detailed sunscreen tips, see this article from the FDA. What level of SPF sunscreen should I use? Choose a sunscreen with SPF 50 for best protection. A product that offers protection from both UVA and UVB rays offers the most protection from burns and premature aging. Is one form of sunscreen better than another? Cooper Clinic Dermatologists recommend bottles and lotions rather than sticks or sprays that may not rub in well. Why isn’t a SPF higher than 50 recommended? The FDA has stated the maximum sun protection factor a sunscreen product can claim is SPF 50 because higher numbers have not been scientifically proven to provide more protection. Do I need to water resistant product? If you are going to swim or exercise outdoors, use a sunscreen that is water resistant to help protect you when you get wet, be it from the pool or simply sweating. Do I need to apply SPF on a daily basis? Apply sunscreen year-round (365 days) to your face and neck, regardless of the weather. Whether it’s sunny, rainy, or cloudy, our skin is still exposed to UVA and UVB rays. How much sunscreen do I need to use? A common error is not applying enough sunscreen. For optimal protection, use a nickel-sized dollop of sunscreen on the face, and two tablespoons of sunscreen to cover all areas of the body not covered by clothing. One fluid ounce is equivalent to two tablespoons, so a 3-ounce bottle of sunscreen is only six applications. As an additional layer of protection for the head, Cooper Clinic Dermatologists recommend a hat with a large brim to shade the face and ears and block the back of the neck be worn outdoors whenever possible. For more sunscreen tips, including additional instructions on sunscreen application, as well as favorite sunscreen brands Cooper Clinic Dermatologists recommend, see this article. 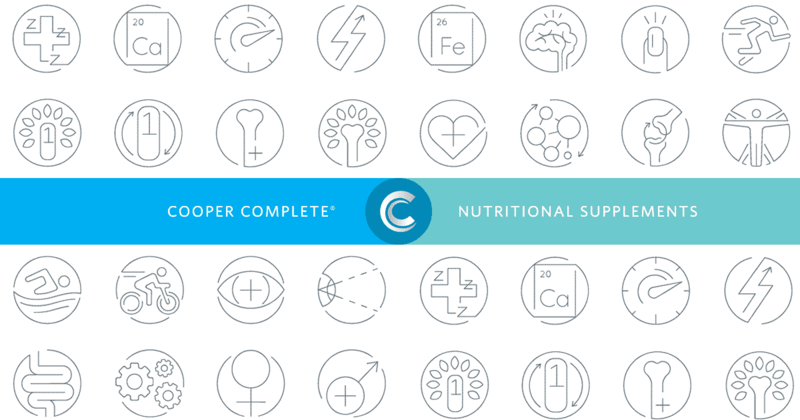 And for skin protection from the inside out, consider supplementing with this skin, hair, and nails supplement formulated by Cooper Clinic Dermatologists.